Today I've got a polish that's almost all things good, in my opinion. 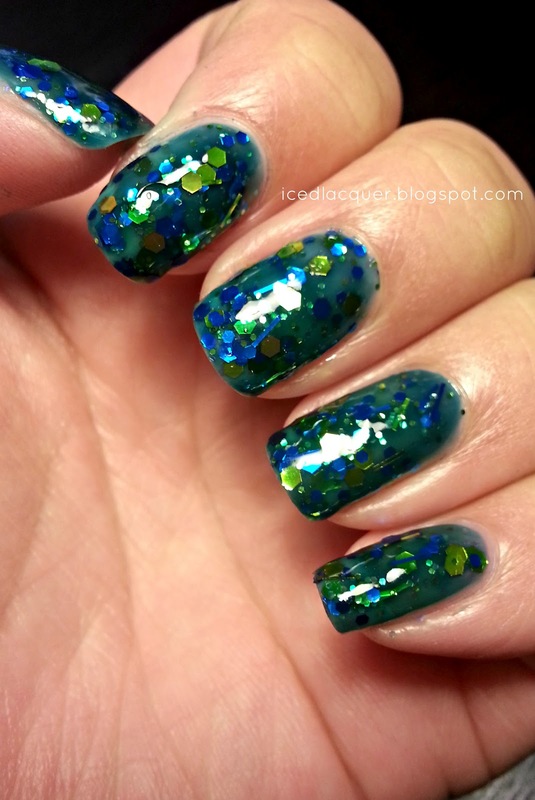 It's blue and green, two of my favorite colors. It's got a jelly base. It's packed with glitter. It's got a touch of sparkle. With two coats, you can get squishy, almost-full coverage. 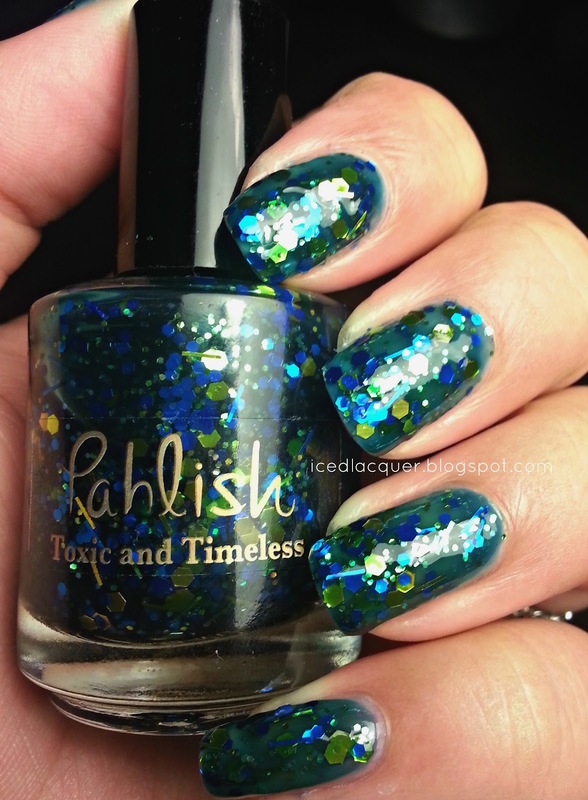 This polish is Pahlish "Toxic and Timeless." Toxic and Timeless is so dreamy! 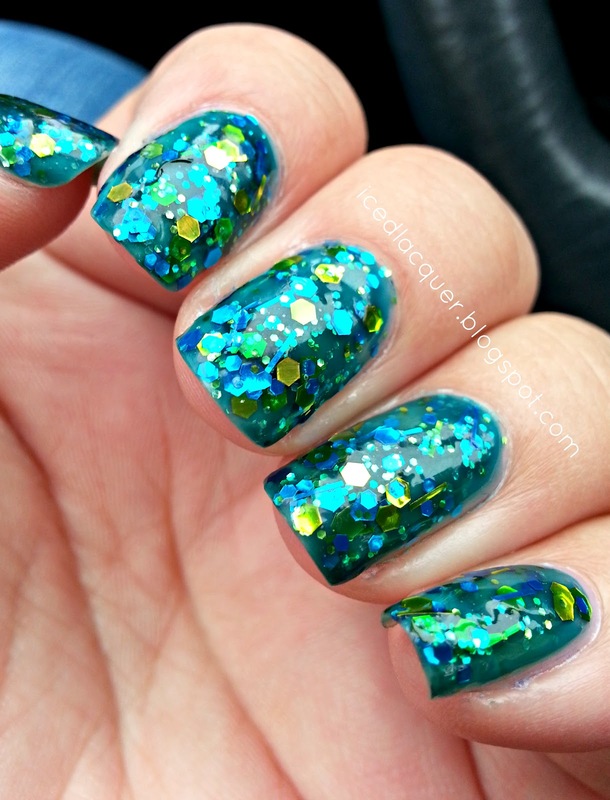 It definitely reminds me of an ocean scene filled with seaweed and glittering pebbles. This is two coats with one coat of Gelous and one coat of my new favorite quick drying top coat, Sally Hansen Diamond Flash. The blue base is filled with small iridescent hex, medium and large hex in blue and yellow. It's also got gold and blue bar glitter in there as well. On a final note, I do need to mention that this was a tad thick. I definitely had to drag some glitter around and fill in a few spots where the base was a bit thin. I think I'll add a bit of thinner before the next time I use it. 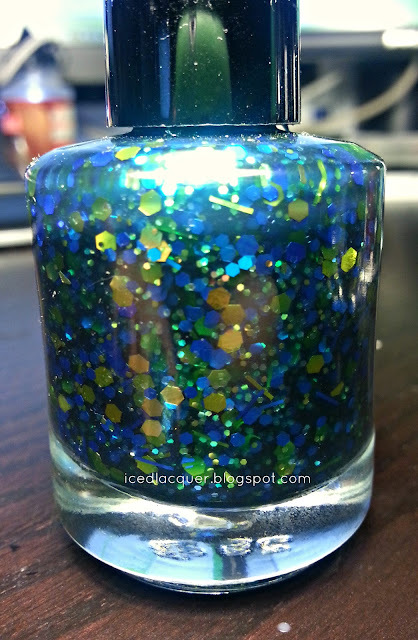 Even still, it's so gorgeous I'm alright with a little bit of glitter finagling. That is so gorgeous! I love it!